Every landlord wants faster leasing! Marketing a home and finding a good tenant is critical, as the cost of a vacancy is the single highest expense for owners. The top priority is to keep rental income coming in by quickly filling vacancies with tenants who will pay and care for the property. The average rental home stays vacant for about 52 days, and can be higher than 90 days if the home is not in rent-ready condition or if the rent is priced too high compared to other homes tenants can choose from. Real Property Management Salt Lake City is the leader in leasing residential properties and most of our rental homes lease within the first 30 days on the market. Faster Leasing is crucial to your success as a property owner! See more about what separates us from other property management providers in the Portland / Beaverton area. Unfortunately, the rental market is indifferent to your monthly mortgage. If you are holding out for $1200 in rent when the market rate is closer to $1000, you are only prolonging the inevitable, as rental prices typically don’t change within a 90-day period. Let’s assume that market rent for your home is $1,000/month, but you need $1,200/month. Now let’s assume that after two months of vacancy, the property rents at $1,100/month for 12 months. How much actual rent are you receiving over that 14 month period, (2 months vacant + 12 months occupied)? 12 x $1,100 = $13,200 divided by 14 months = $943/month! If you had set the price at the market rate and rented the property at $1,000/month (market rent) right away with no vacancy, you would have made $798 MORE MONEY over the same 14-month period! In this scenario, you would have lost $798.00 by trying to get higher than market rents. 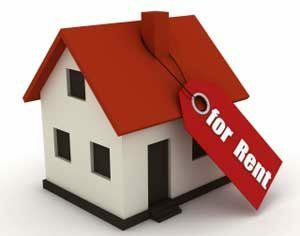 Real Property Management Salt Lake City, Utah has specialized expertise in area rents and market forces. Rely on us to help you set rent in a way that balances your ideal with a faster leasing process . Read more about the right property manager can save you money. Your home must stand out and be in rent-ready condition to compete for tenants. Or, if you are unable to make improvements due to budget constraints, the home must be adjusted below the market to offset the quality of the home. Available rental property is at an all-time high due to the number of foreclosed homes that are being rented by banks to create cash flow, so tenants have more choices. Again, what you are trying to save in maintenance and upkeep costs may end up costing you in longer vacancies, so you are wise to improve the condition or adjust rents down accordingly. Real Property Management can help you with affordable resources and helping you achieve faster leasing. A yard sign and a classified ad won’t cut it in this market. The more comprehensive the marketing of your property, the more tenants you have to choose from, which generally results in higher-quality placements. As the largest leasing and management company in the U.S., Real Property Management Salt Lake City is able to strategically market your home on over 100 top websites, take advantage of the best local marketing outlets and coordinate all showings until the property is leased. Although quick placement is essential, poor placement can cost you even more than vacancy. On average, placing the wrong tenant will cost you 3 to 4 times the monthly rent rate in lost rental proceeds, eviction costs and time to evict, plus the typical damage to the home. Real Property Management Salt Lake City, UT has a rigorous background screening process that will find the best possible tenant and place them quickly, resulting in faster leasing. Real Property Management Salt Lake City offers an affordable leasing service you can use even if we aren’t managing your property. Our leasing fee includes a full property assessment, comprehensive marketing and thorough screening of each applicant. Then we select the best tenant, get the lease contract signed and ensure payment of the deposit and initial rent. When a daily rental vacancy costs you, it makes sense to put leasing in the hands of a professional who can get your unit rented faster. Want faster leasing? Tired of wondering what is going on with your vacant rental, or doing it all yourself? Contact Real Property Management Salt Lake City Today!